The party is just getting started at Worlds of Fun! Come join us at the park for our 44th Season of fun and thrills! Unlimited visits, including Haunt and WinterFest, free parking, exclusive discounts, early access to the park and much more! Don't miss a minute of the fun! 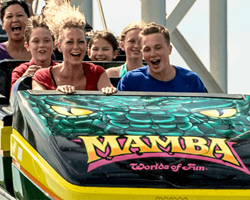 You'll find all of the calendars and hours for Worlds of Fun, Oceans of Fun and WinterFest right here. 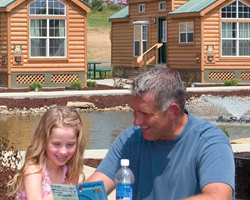 Worlds of Fun Village features cozy cottages, charming log cabins, and deluxe RV sites designed for the big rigs. Worlds of Fun Village is located so close to all the thrills that you can walk to the entrance of both parks. A guarded swimming pool (available Memorial Day to Labor Day), Hot Tub (available Memorial Day to Labor Day), laundry and shower facilities, and convenience store are available at the Clubhouse. Free Wi-Fi wireless internet and 24-hour security are accessible. 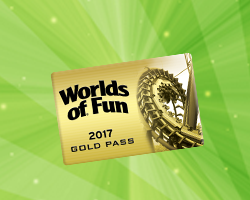 Plus, registered guests can purchase specially discounted Worlds of Fun and Oceans of Fun admission tickets!